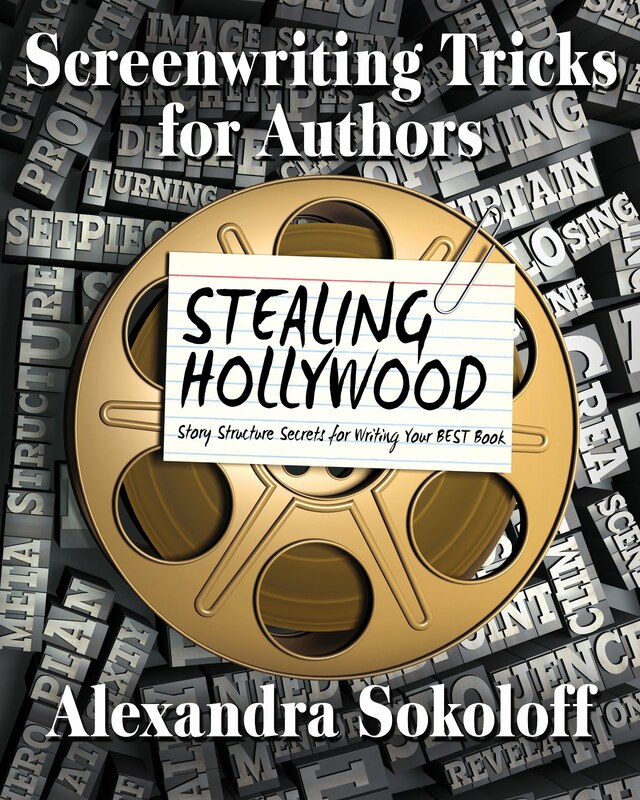 Alexandra Sokoloff: STEALING HOLLYWOOD, available now in print and ebook! 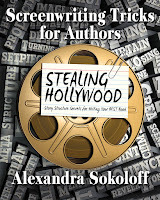 STEALING HOLLYWOOD, available now in print and ebook! Yes, the long-awaited PRINT textbook of my Screenwriting Tricks for Authors workshop is now available. Just in time for you to start prepping for Nanowrimo! And I must say this book turned out beautifully – it’s a nice big 8 x 10 workbook, so well laid out! And it even lies flat for easy highlighting and scribbling in margins. This book updates all the text in the first Screenwriting Tricks for Authors ebook with all the many tricks I’ve learned over my last few years of writing and teaching—and doubles the material of the first book, as well as adding six more full story breakdowns. There’s also a companion ebook that you can buy separately – or can get for just $1.99 as a Kindle Matchbook if you buy the print workbook. 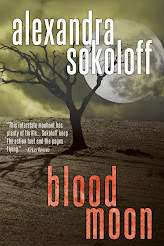 But let’s face it–I know print is what people have been waiting for. 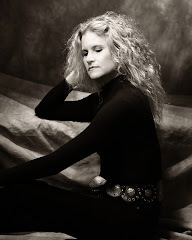 For those of you who aren’t familiar with my writing workshops, workbooks and blog, here’s a bit about what I teach. 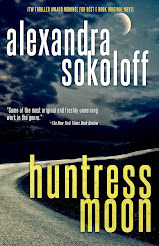 Many of you know I was a screenwriter for ten years before I wrote my first novel (and despite all my complaining about it, I am back into it now that my Huntress Moon series has been optioned for television!). 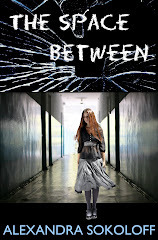 But in between that and my full time – more than full time – job as a mystery and thriller novelist, I also teach my Screenwriting Tricks for Authors workshop all over the US and internationally (last week as a master class for the Bloody Scotland Crime Festival) as well as to film students in Los Angeles. The key to the story structuring technique I write about and that everyone's always asking me to teach is the Three-Act, Eight-Sequence structure. Most writers are at least vaguely familiar with the concept of the Three Act structure (but it never hurts to review – and this post may give you a better idea of why it’s so important!). 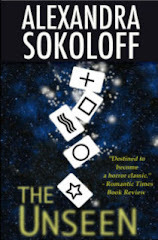 But the real secret of film writing and filmmaking, that I teach authors to steal for their novel writing, is that movies are written in a Three-Act, Eight-Sequence structure. Yes, most movies can be broken up into eight discrete 12-15-minute sequences, each of which has a beginning, middle and end. The eight-sequence structure evolved from the early days of film when movies were divided into reels (physical film reels), each holding about ten to fifteen minutes of film (movies were also shorter, proportionately). The projectionist had to manually change each reel as it finished. Early screenwriters (who by the way, were mostly playwrights, well-schooled in the three-act structure) incorporated this rhythm into their writing, developing individual sequences that lasted exactly the length of a reel, so that as the reel ended, the sequence also ended, on a cliffhanger climax – so that as the projectionist was scrambling to change reels, the audience was in a state of high anticipation about WHAT HAPPENS NEXT – instead of being frustrated and pissed off about having their moviegoing experience interrupted in the middle of a key scene. Nobody likes having a climax interrupted, right? Obviously these days we have digital projection and no one is up in that projection booth scrambling to change reels, but modern films still follow that same climax-every-15-minutes storytelling rhythm. Because - what storytelling form came along mid-twentieth century that really locked that cliffhanger rhythm into place? Right! Television! Network TV writers always end a sequence on a cliffhanger before the station cuts away to a commercial break. It’s just too easy to change channels, otherwise. If you’re a writer, you are probably already unconsciously following this structure – that’s what most people in my workshops discover! They just needed someone to point it out to them and show them how to make the most of their climaxes (sorry, it’s impossible to talk about this without sounding like the non-fiction version of 50 Shades…). Think about it. How many movies and TV shows have you seen in your lifetime? I’m willing to bet it’s thousands. You know this rhythm. Your readers know this rhythm. And here’s the thing: your readers unconsciously EXPECT this rhythm, and if you’re not giving it to them, they’re going to get worried that you’re doing something wrong. So it’s very, very useful to get conscious about the eight-sequence structure yourself, so you can use it most effectively. If you’re new to story breakdowns and analysis, then you'll probably want to check out my sample breakdowns (full breakdowns of different movies are included in the workbooks) and watch several, or all, of those movies, following along with my notes, before you try to analyze a movie on your own. 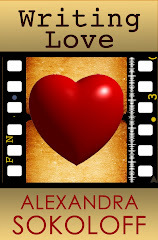 You can also sign up for my Story Structure Extras list and get free sample movie breakdowns. NOTE: You can also, and probably should, say that a movie is really four acts, breaking the long Act Two into two separate acts. Hollywood continues to use "Three Acts." Whichever works best for you! The setpiece is a fabulous lesson to take from filmmaking, one of the most valuable lessons for novelists, and possibly the most crucial for screenwriters, and I talk much more about them throughout the Screenwriting Tricks workbooks. But me talking about it is not going to get you anywhere. You need to DO this. Watch the movies yourself. Do the breakdowns yourself. Identify setpieces yourself. Screening one movie looking for this structure one will get you far, three will lock it in, and as you continue to practice looking out for it, this new awareness will open new worlds in your writing. Eventually, it will be as natural to you as breathing, and you will find yourself incorporating this rhythm into your storytelling without even having to think about it. And remember – I always do a month of prep for Nanowrimo here on this blog in October. Come join me for brainstorming and feedback on your story before you launch into your Nano writing frenzy! 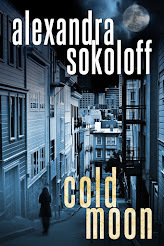 I've really enjoyed your previous writing books, so would like to buy this in digital format as well. 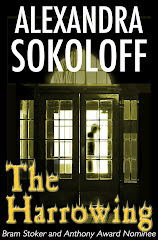 Will it also become available via Smashwords or Kobo? Cheers!